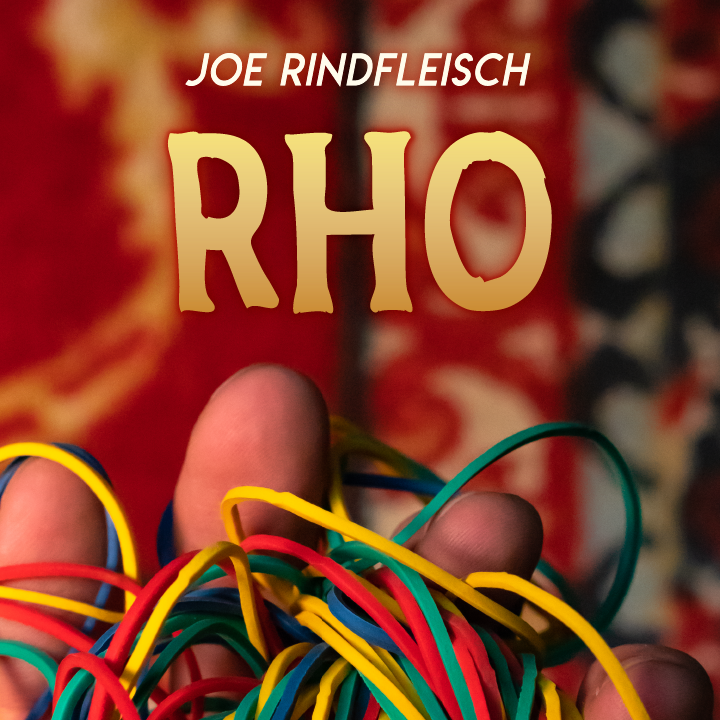 Today, when you order "RHO by Joe Rindfleisch", you'll instantly be emailed a Penguin Magic gift certificate. You can spend it on anything you like at Penguin, just like cash. Just complete your order as normal, and within seconds you'll get an email with your gift certificate. You will do things nobody believes. For a moment they'll assume it's a camera trick, because their brains are going to tell them it can't be possible... but then... slowly.... they realize.... THEY'RE NOT WATCHING A VIDEO. Joe Rindfleisch, the undisputed king of rubber band magic has topped even himself with this one. It's a technique so deceptive, you can use it for color changes, teleportations, even passing rubber bands through SOLID GLASS. If you want to give people anxiety about their eyesight, get RHO now and start learning instantly. This looks as good in person as it does on the video from the right angle (directly in front of you and all the way to the left side). Unfortunately, the move makes a loud snap, it doesn’t always appear as cleanly as it does in the promo (Joe even messes it up in the tutorial more than a few times), the “get ready” requires more than moderate misdirection, and your whole body is a bit rigid and awkward before the magic moment. If you are okay with all of that, then buy it (it’s sometimes the norm for rubberband magic), because it’s a smart move with lots of applications. However, I won’t be using it. It could work in the real world (loud place, great audience managemt, great opportunity for misdirection), but for the price, I expect something a little more useable. Everybody mentions it...'angles'. Yes, it's true, you have to watch your angles but so far, I have found two ways to do this. In a parlor' setting, it's the one I start out with and I can take off my coat hang it up and 'engage myself' as needed at that time. This way, I 'find', my first rubber band. Lots of natural movement at that time. So I start with this. I have several effects with one band and when I am finished with that, I hand that one out for examination. While they are checking it out, I simply remove a second rubber band from my wrist get set and go into the two rubber band phase of my routine. You have lots of options at that moment for whatever you do. Once that's done, I magically put them both back on my opposite wrists and using Joe's BH method (available through Penguin)I cause one to vanish and then I 'toss' the last one onto my wrist and accept the applause. I only share that to say, 'routining' is your best 'out' for some of the issues mentioned. In a close up setting I prefer to be standing, so I can 'naturalize' my movement to do what I must for 'prep' and angle presentation. It's almost easier with a small audience. For the price it's a worthwhile method. I have only used 'band through the window' as a spontaneous effect. "Hey check this out". I'm ready before I offer to show them 'something' and it's mind blowing. So for the 'at just right moment' need, that one is really great. "Cool Huh? Here's my card..." Oh, Rubber Bands do matter. Get Joe's. That's just easiest. Stretchier and much longer life than 'office bands'. I will do a practice run or two with brand new ones at home and use those same ones in a performance. I like them just a little broken in. Last thing, I use the Rubber Band holding device to keep the set I am going to use (left and right) and the colors I am using and a few extras as I prepare. From that device the 'band set' goes on my wrists in an instant and I'm ready to go. Enjoy. 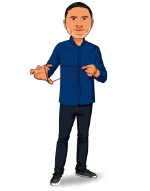 The fun part of this video, other videos from Joe and others from Penguin is that I'm amused and amazed while watching myself do rubber band tricks. This move involves some misdirection and angles, but bands aren't that obvious. I have Rainbow bands and Legend bands from Joe. The Legends come in muted colors. Worth having both. Get Elastrix. One tiny drop will coat 20 bands. Needed for tricks where bands rub against each other. RHO will get great reactions! Looks so good can't wait to start using it! Video to the point just like I like it! This is another really great one from Rindfleisch. Probably one of the more technically difficult techniques, but you’ll have it down within an hour. It will also take some misdirection. The amount of misdirection you’ll need is about equivalent to how much you need for ‘RHO’; maybe a little less. I already did the color change for a couple magic friends, and if fooled them hard. If you love Rindfleisch downloads, I can safely say you’ll enjoy this very much. I love Joes Tricks and bands. This one will be in my arsenal as soon as I have time to practice. A new concept of handling bands is born. 4 Stars because of angle sensitive which can lead to some problems if you are not as familiar with angles as a pro.